Here’s a film to love. A story told through tones of reds and greens, especially greens, about a very special young lady who bravely makes everyone’s lives happier and doesn’t expect anything in return, although this genuine joy enlightens her own life. 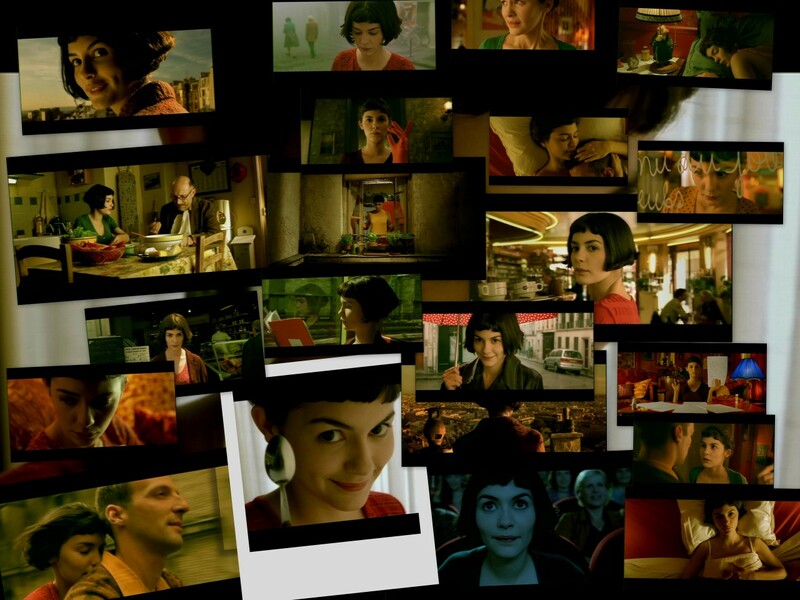 Amélie’s life was very peculiar from the beggining. Her father neither gave her a hug nor a kiss, but touched her during medical check-ups, which increased Amelie’s heartbeats as she so longed for this rare contact with her father. The result of that was that her father mistakenly believed she had a heart condition, and therefore she grew up in loneliness, never going to schools or playing with other children, but being home educated by her neurotic mother, who died while Amélie was only a child. In order to amuse herself, Amélie develops a very active imagination that will affect her life forever. With a Jane Austen’s Emma will to make the most inimaginable couple be together, she can’t figure out how to do the same for herself. How could she?